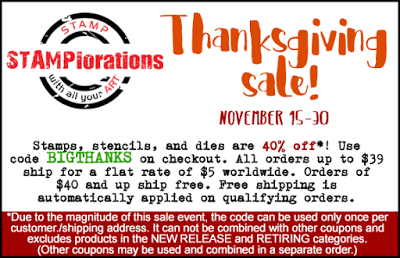 There's still time to play in STAMPlorations November CUTploration challenge!! For my card, I was inspired by the leaf in the photo. I chose a wood grain pattern paper for the backdrop. 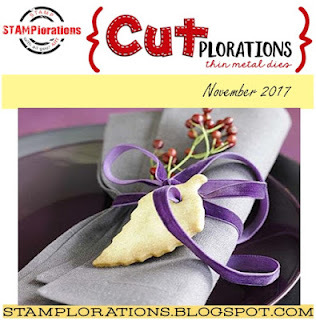 I then stamped and fussy cut the leaves from the Trendy Leaves set; sponging the edges. 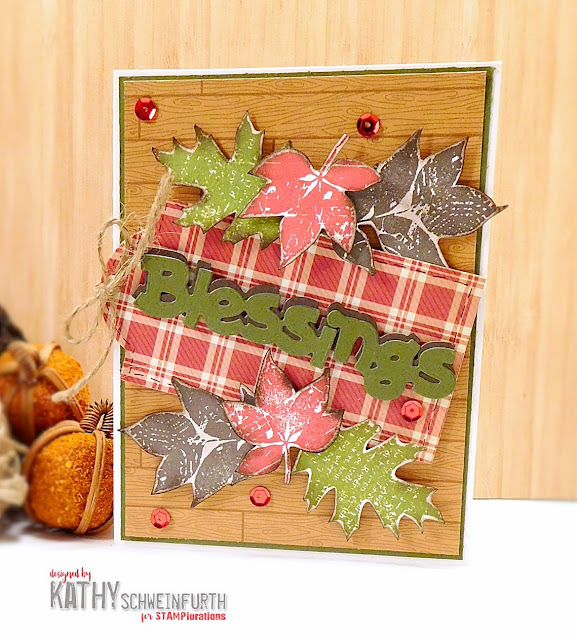 I layered the leaves over the tag which was cut from pattern paper using the Tags #1 Nesting dies and adding the Blessings word die cut from two different colored cardstock to create a shadow effect. To finish, I added a natural twine bow to the tag and a few red sequins! Love your set table Kathy. What a great idea.